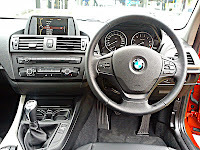 The BMW 1 Series has recently just gone into its second generation and due to some attractive finance deals by BMW Finance, I decided to take one out for a test drive. 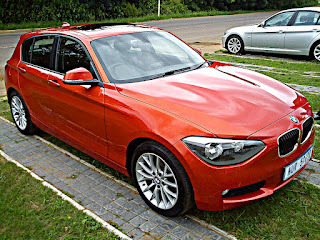 Roland Ragavan from Auto Umhlanga set us up with the new 118i, which came in a very interesting colour. The 118i sports a 1.6l engine which produces 125kw power and 250nm of torque, which is achieved via the assistance of a twin power turbo. Although the 118i has a high performance engine it has amazing fuel economy. Urban gets you 7.6l/100km and country is estimated at 4.8l/100km, you also will get around about 5.8l/100kms on a combined cycle. Pretty impressive economy vs power stats which BMW says is made possible through BMW EfficientDynamics. The 1 Series 5 door hatch doubles as a hot hatch and a family car. One thing that a family needs, even if there is only one kid involved in the equation, is boot space and which the 1 Series is not short of, you can pack in quite a bit in there for a road trip holiday to Cape Town. And the family factor of the car is nicely finished with safety features far superior to any other vehicle in its class. I got to know the fun and the sport factor of the 118i through the route to Sibaya and back. Out on the highway Sport mode was my choice of driving style, and the 1.6l engine did not disappoint. 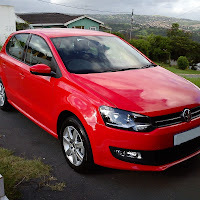 There was good torque response through all six gears and handling was superb. One of the advantages that the new 1 Series has over its competitors is the combination of 50:50 weight distribution and rear wheel drive, which resulted in phenomenal handling. Throughout the sport mode driving I didn’t see any serious impact on fuel economy, which is the number one selling point for the 1 Series in my books. Exterior design was a blend of sporty and aggressive, a look that would involuntarily make you ‘move over’ if you saw one coming at you in your rear view mirror. It’s not a big change from the previous 1 Series, but the minor tweaks that have been done have made a significant difference. As with all BMW’s, it’s all about customization, so you can tweak the look to your satisfaction. Interior wise, you get a sense of sophistication, as well as the feeling of a sporty edge. As with the exterior, you can customize the interior as well. 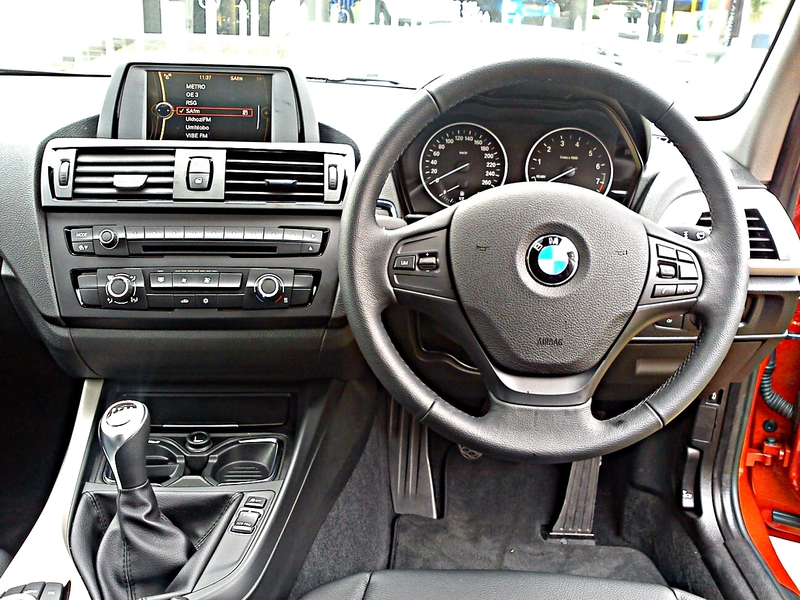 I suggest taking some extras for the interior, without them you might find it a bit boring inside the 1 Series cabin. Luckily the demo that we had wasn’t stock; the options that were chosen made it interesting and fun. Spend a couple hundred bucks here and there on optional extras and you’ll find that it is money well spent. 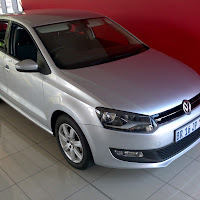 The 118i is a nice package and caters for everyone; it starts from R 288,954 and comes with a 5 year 100000km full maintenance contract, which is said to be one of the best maintenance deals out there. There are constant deals offered by BMW to make owning a BWM a reality, so check out some of these deals at BMW's website. 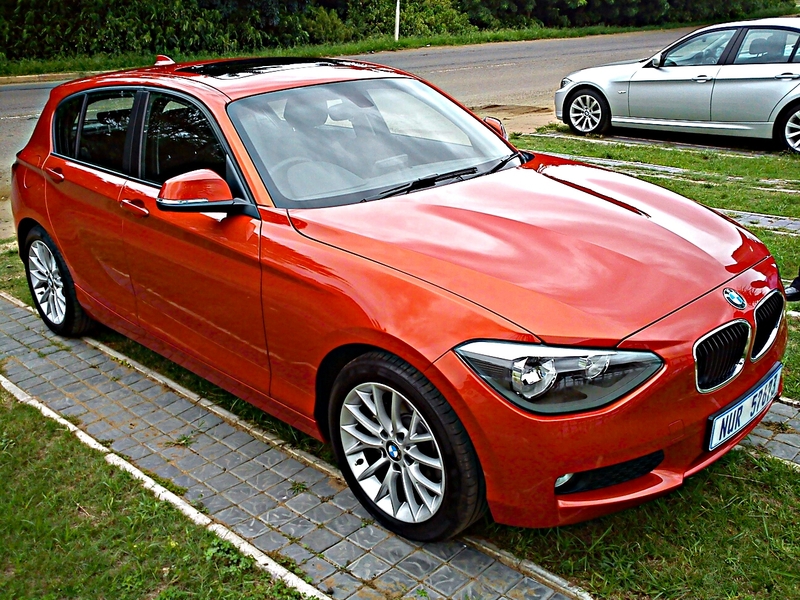 The 118i is a nice package and caters for everyone; it starts from R 288,954 and comes with a 5 year 100000km full maintenance contract, which is said to be one of the best maintenance deals out there.